Surprisingly good, possible the best vampire film I have seen in a while. In saying that, there’s not much competition in the field of vampire films. Nether the less it’s still a very good piece of storytelling, which considering the subject of a president being a vampire hunter is really saying something. 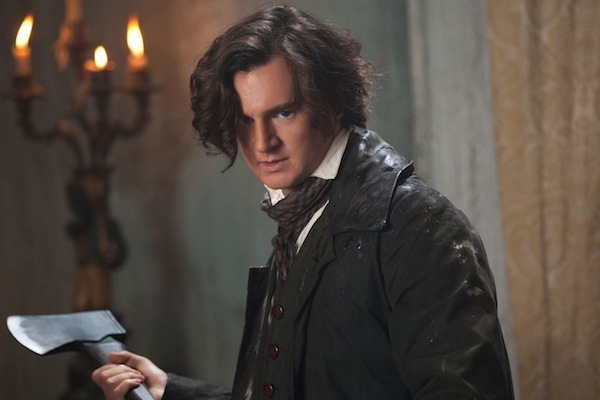 It’s an action packed Interview with a vampire, but you know with Abraham Lincoln. 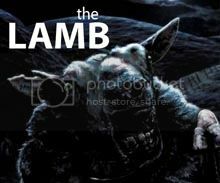 Visionary filmmakers Tim Burton and Timur Bekmambetov reinvent the time-honored genre and present the terrifying creatures of the night as they were meant to be experienced — as fierce, visceral, intense and bloodthristy. 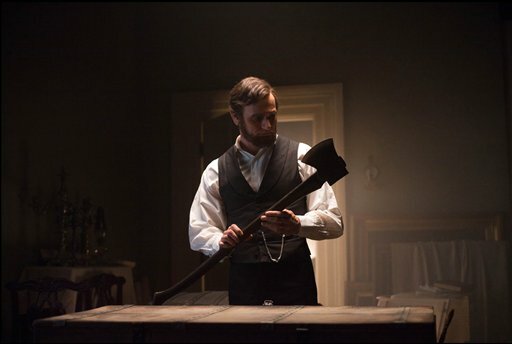 Abraham Lincoln: Vampire Hunter brings to the screen the secret life of our nation’s favorite president…as history’s greatest hunter of the undead. The best advice I can give to readers is to expect more than you would have ever guessed, I know you are still going to think it’s just a stupid story but it actually plays out really well. Tim’s Film Reviews Recommended, go watch it! Unless you‘re from the south (little offensive). Just as always I will not be giving away any spoilers so you don’t have to worry about reading this review before seeing the film, although you may wish to wait until you have seen the film. To start off let’s talk about the acting. The acting was very professional and you could feel the whole set of character emotions, really did not expect that from this film. 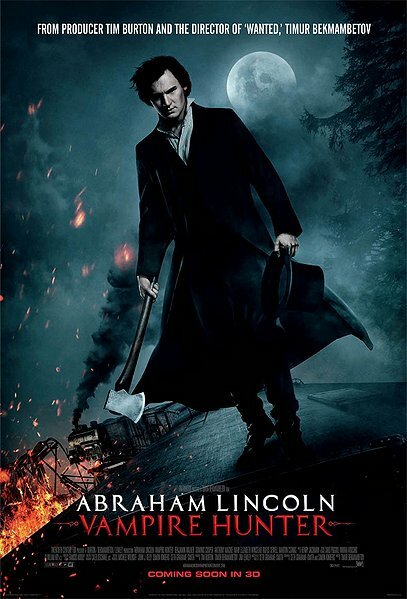 The main character Abraham Lincoln (Benjamin Walker) was the stand out performance in this film with a fantastic realistic but strong character who survives at all costs, credit to him with a great performance (go get them Abe!). Then there’s something that threw me a bit when I watched it which was the amount of stars I like but didn’t see in the trailers, just going to rattle off a list; Alan Tudyk, Marton Csokas, Jimmi Simpson and Mary Elizabeth Winstead. They all did a great job in their roles. So now let’s talk about something more fun like the visuals. The special effects, physical props and visual landscape shots where both excellent viewing and showed the time period very well. The fight scenes and action scenes in general where spectacular to see, plenty of vampire slashing goodness. This was a lot more than I would have expected, in terms of visuals anyway. The best thing I felt about this films look was the way that everything moved with the same flow, what I meant was that the action felt right. The vampire hunting, the train scene, and the American civil war battles all looked to fit very nicely together which considering they are nothing alike surprised me. The best review I found would be “Genre enthusiasts will lap up the mixture of action and fantasy, while history buffs who don’t mind a bit of rewriting will dig into an alternative spin on the Civil War period.” Justin Lowe. This is a good summary of the film because it’s a great mixture of action and fantasy. Plus I love military history and find this alternative spin on the civil war rather fun to watch. My favourite scene without giving anything away would be the scene in which Abraham Lincoln is chasing the vampire who killed his mummy in a stampede of horses, very epic. Not sure if telling you his mum dies is a spoiler but it happens in the first 10 mins so deal with. Sorry. Finally I would like to know what everyone thinks of this film, I am sure opinions will be divided. Thought the story was excellent, the acting was excellent, and the film was all fast paced action. Casting of the actors that played Lincoln and his wife were perfect. My only critique was the heavy CGI they used for the film which at times I would have liked to see more standard Make-up FX for some of the vampire slaughters. That scene with the horse stampede was exciting. Love the history and horror mix, also. Hooray! You loved this movie! Glad to see that! I did too! and I was impressed by Ramona from Scott Pilgrim as Mary Todd. Fun review here Tim. Thoroughly enjoyed the movie. The make-up artists did a fantastic job including the aging of the characters! Would have loved to have seen Alan Tudyk (as Stephen A. Douglas) more – very talented actor with too little screen time! Good review Tim. I thought this could have been a little bit more insane than it already was, but whenever it did decide to be crazy, that’s when I had the most fun. Also, Walker looked a little bit too much like Liam Neeson to the point of where it was distracting but he was still pretty good. I plan to see it as well after my burning the candle at both ends with the Jazz Festival. This looks fun. If you liked this check out Priest (2011) as it has a different take on vampires in a film so bad it’s good. Priest (1984) is very good too as it deals with a priest (Linus Roach pr Lanw & Order) who is gay and comes out, very moving. I reviewed both. So did I, I have it in my collection. Cam what’s his name was hot and growled a lot too LOL. Looking forward to see it, though debating whether to watch it in theaters or wait for DVD. What do you reckon? I haven’t read the book, so you will have to let me know what its like. cannot wait to see this!! Lincoln is my favorite president, and I don’t like vampires. So I will love this. Thanks for the comment and I hope you enjoy the film. I couldn’t even see Twilight since I cannot stand vampires! Will let you know if I like the movie.